I pondered which album to review – the standard or special, and I went with the longer, slightly extended album. Besides the applaudable 2-disc releases for both versions, the album presentation of both are radically different than the film versions. Through heavily edited sequences, despite late rescoring efforts, the score as on the album is far more enjoyable than the score as heard in the film. Fans of the past Lord of the Rings scores will no doubt recognize themes and moments into The Hobbit. But putting that all aside, here is my review of the album. This first Hobbit film relies on basically three major themes: the Shire theme first heard in The Fellowship of the Ring, the Misty Mountain theme (written by New Zealand composers Plan 9), Bilbo’s theme, the theme for Erebor, and Thorin’s theme. Also notable are the motifs for Gandalf, Radagast and the dwarf group. And of course included is a heap of reprises of LOTR themes. Right out of the gate, My Dear Frodo returns us to the sound of the old films. Shore's writing is following the same tradition, with the same style instrumentation so the score blends with the past films. The lush strings bring out the Shire theme and a smile to my face. The track shifts to a darker tone when the full orchestra and choir come in. 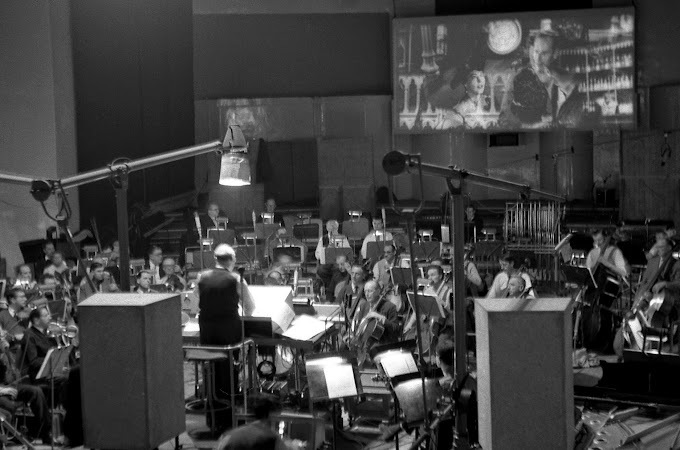 The full force worked well in the original trilogy, and continues throughout the score in various tracks. That same heartwarming sound of the Shire theme returns in Old Friends, with slight changes and variations. This track turns darker and mysterious, with an English horn solo in between the lighthearted strings. An Unexpected Party has a bit of a mysterious quality, which works well for the comedy. Gandalf’s theme appears in this cue, and several other parts of the album. 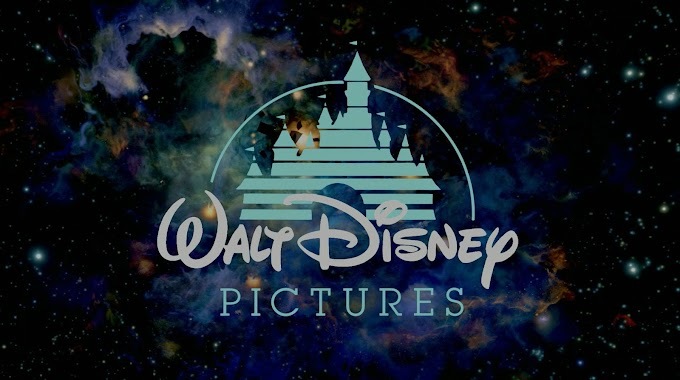 The motif for the dwarfs that appear here are almost one and the same with parts of Shore’s past film Hugo (2011). Variations on this theme continue before turning into a cheerful dance-like tune. Blunt the Knives is a source music song sung by the cast (lyrics by Tolkein and music by Stephen Gallagher). Axe or Sword features more noble-sounding strings and is very reminiscent of music from the trilogy, with this track featuring Thorin and Erebor’s theme and the overall arch of the dwarfs’ journey. Near the end of the track, we get a plaintive version of Bilbo's theme. Misty Mountains is another source song (music by Plan 9 and David Long). The hymn-like rendition fits as their dwarf song, and the melody is interpolated many times in the score by Shore. While not written by Shore, it is a cornerstone of the score and probably the highlight of new material. The Adventure Begins is a fun track, with a quick rendition of the Shire theme, full of adventurous momentum, very similar to A Shortcut to Mushrooms in ‘Fellowship’. The World is Ahead is another sweet track with the dwarf theme, before turning to a brass-led rendition of the Misty Mountains in a great first full arrangement. The choir and percussion in An Ancient Enemy provide a nice juxtaposition to the light themes in previous tracks. This dark driving sound is similar to Isegard/Sauron material from the trilogy. This style is often used in flashback moments of the film, and of course reminds viewers of the battles to come. Radagast the Brown begins with Gandalf’s theme, before a choir comes in. With a ticking percussion, an off-kilter violin solo takes over. The music gets dramatic with quick stopping and starts, before combining the string solos and choir. It is both chaotic and quirky which stick out on the album. The Trollshaws features more dramatic strings with snippets of the dwarf theme mixed in. The same atmosphere fits with Roast Mutton, a building suspense cue. A brief heroic version of Misty Mountains appears as well. A Troll-Hoard builds off the earlier suspense, this track mainly being slightly dark and ominous. The Hill of Sorcery gives hints of the Shire theme and segues into Radagast’s theme. A motif for the Necromancer (sure to appear in later films) appears as the music gets more dissonant and threatening. The Sauron theme naturally makes a reprise in this section. Warg-Scouts is overall an action cue, with percussion and low brass taking over. A chugging motif for the Wargs and their owners is continuous through the track. The Hidden Valley begins with a slow speed hinting at the unknown as the orchestra crescendos. The choir comes in as we transition to the beautiful Rivendell theme from the trilogy. The track is full of shimmering strings and eventually the track changes pace and turns to a quick march. Moon Runes stays mostly quiet and slow, with a nice solo rendition of the Erebor theme. Eventually Thorin’s theme is also added in to the overall mysterious mood. The Defiler is another evil sounding track, with his motif being played in low brass at the beginning. It is apparent with the extreme low brass and dissonant glissando strings which side this character is on. Past themes reprise in The White Council, like the Rivendell theme and the Lothlorian theme. Like the Rivendell scenes from the trilogy, the music stays under the surface. We hear a lovely clarinet solo playing Bilbo’s new theme. Finally a slightly menacing Sauron theme appears. Over Hill features a noble rendition of Misty Mountains, then Thorin’s theme. Lothlorian’s theme makes another appearance before a plaintive version of the Shire theme. The music builds with Misty Mountains in the brass before the largest version of theme appears. While not written by Shore, this is the best interpretation of the theme and fits right into the score. A Thunder Battle is exactly as it sounds. This is a nice dramatic cue with driving strings and pounding percussion. The track ends with the Defiler motif. The same driving force is used in Under Hill, with the odd meter and fluttering brass. The dissonance rises and falls with growling renditions of the Defiler’s motif. Riddles in the Dark, the scene with Gollum, naturally contain hints of the History of the Ring theme. It features a lot of sneaky sounding tremolos in the strings and even more variations of the Ring theme. Near the end of the cue we hear the melancholic Gollum theme. More hints of the Ring theme appear in Brass Buttons. Brass fluttering continues with the male choir chanting adding a great effect. This track is both exciting and dramatic. The action pauses with the dwarf theme reprised before the pounding starts up again. The Gollum theme returns as well as the gentle choir near the end. Out of the Frying Pan begins with the snarling low brass in this action cue, and the brass hardly let up. The action pauses only a moment to let the beautiful Nature theme in. The music turns heroic amid all the dramatic music, before heading back to the unison orchestra. A Good Omen is full of choir and the major key feels like the worst has been behind. A solo voice rises over the tremolo strings, and the uneasy feeling of the journey continues. The orchestra reprises the Erebor theme as well as Thorin’s theme. This film’s song, The Song of the Lonely Mountain (sung by Neil Finn) doesn’t fit the mold of past LOTR end credit songs. Using the Misty Mountain theme, the chanting and anvil represent the dwarfs on their journey. I actually like it, while many listeners seem particularly divided on this one. My one complaint is how out of place it feels with past songs and the film and score. It just feels disconnected. As good as the song is; it doesn’t rank up highly compared to “May It Be” or “Into the West”. Dreaming of Bag End returns us to the Shire, a short and sweet piece with Bilbo’s theme getting front and center. 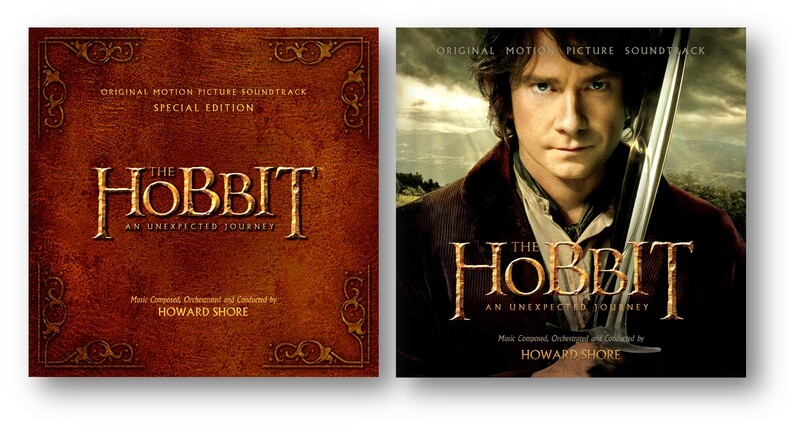 A Very Respectable Hobbit features upbeat renditions of Hobbit themes, and the dwarf theme. Erebor is another short track, which features uilleann pipes and a majestic theme in a great orchestral arrangement. The Dwarf Lords and The Edge of the Wild are nice tracks, with the latter including the Misty Mountains theme one last time. Howard Shore instantly brings you back to the scores of The Lord of the Rings with this film. Past themes are revisited nicely, with subtle variations. The new themes blend in to the same world, with Shore adding is touch to each, including the stirring renditions of Misty Mountains. Speaking only of the album version, it is a great listen. The film versions are sometimes completely different than the album. The new major themes for the film (Bilbo, Erebor, Thorin) are all great and I can't wait to see how they'll be varied even more with the upcoming films. Shore has got some big shoes to fill with The Desolation of Smaug (2013) and There and Back Again (2014)!